Today morning you could have heard a pin drop. It was our first proper lie in since arriving in Jordan and it was welcomed greatly. After a beautiful collective morning meditation, we all had a similar feeling of just how insignificant all our problems really are and that we should just enjoy the present moment. We knew that we would have a group of people attending a meditation programme at our place today, and we told ourselves to just relax and let go of our doubts and worries. 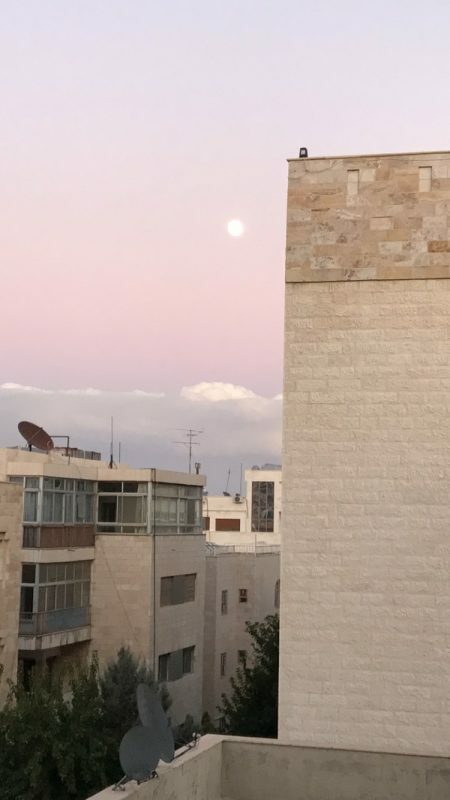 In Jordan, every Friday is a public holiday, and we celebrated by enjoying a delicious breakfast of French toast with chai whilst listening to the atmospheric prayers outside. 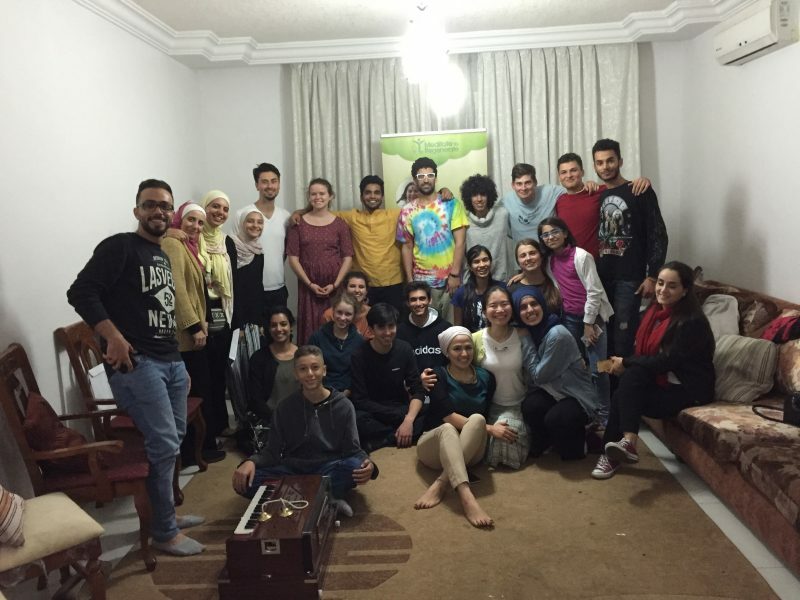 We then set about the task of tidying and setting up the apartment above ours where the programme would be conducted, as well as our apartment for tomorrows’ early departure to Bethlehem. 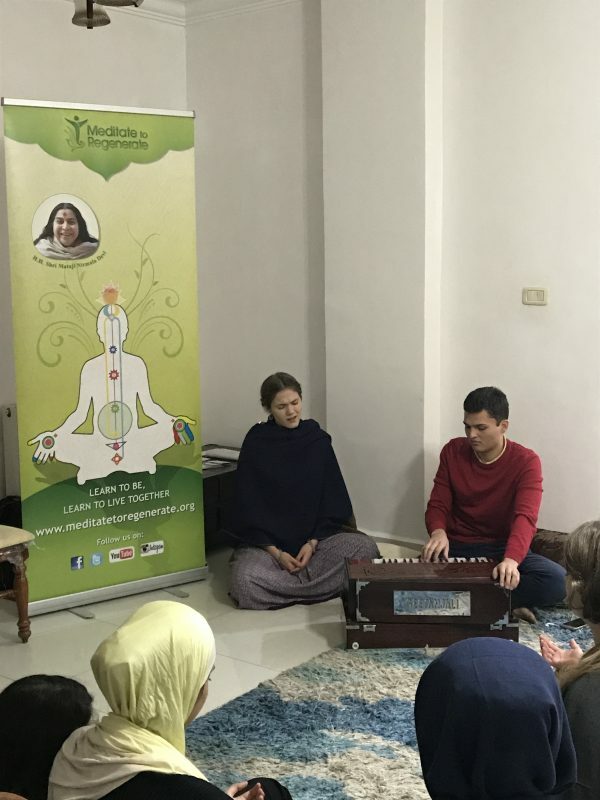 The aim of the home programme today was to provide more in depth meditation workshops for people who have attended our programmes and concerts and wanted to learn more about how meditation could be used in their day to day lives. We started with a small welcome talk and introductions from everyone and proceeded with the meditation sessions that included techniques to clear our energy centres and foot soaking (a technique to balance our energy channels through using the water and earth elements). These techniques overall were thoroughly well received, and many of them mentioned that it helped them to find a peaceful state within and to be able to reduce thoughts and feelings of doubt. After a beautiful home cooked dinner we began our final concert in Jordan, and it did not disappoint. The atmosphere was electrifying, and as we were cheered on, our music became louder and louder that by the time we began singing the last qawwalis, hearts were opened and joy emanated across the room. Not a single one of us wasn’t dancing by the end of the night (except the essential musicians). Individual embraces soon followed with our extended family, and they all expressed their gratitude for the day (as did we!) and for our support carried out through the workshops and concerts in the week. 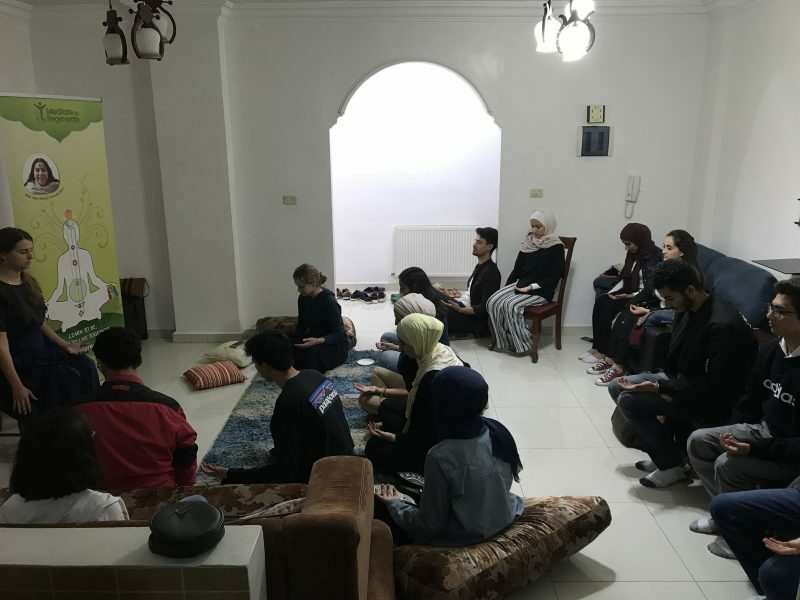 Some of them even offered their help in organising our programmes next week in Palestine which took us slightly by surprise and really showed the caring nature of people in our company. The night was the perfect ending to a whirlwind and mesmerising week in Jordan and the perfect start for our journey to the birthplace of Christ.